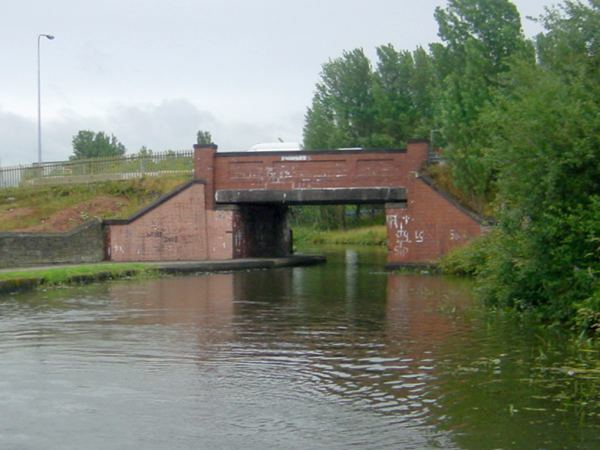 Looking back towards Wigan Junction from the Leigh Branch of the Leeds and Liverpool Canal. 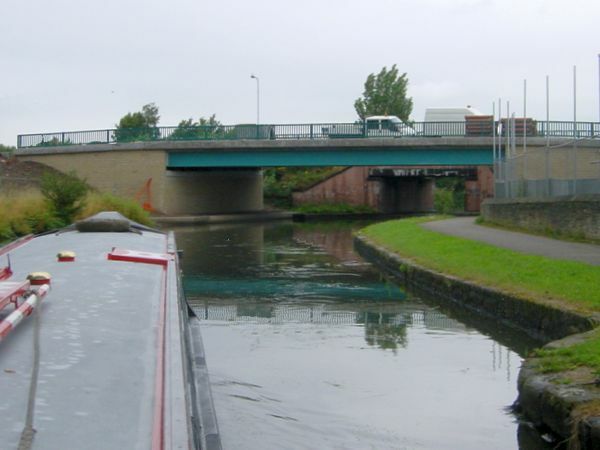 Westwood Way bridge, built to replace the older Westwood Road bridge behind. Westwood Road bridge, (now demolished). 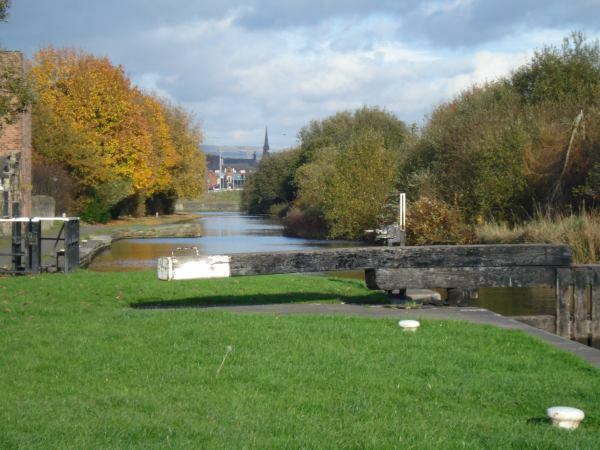 Looking back towards Wigan from Poolstock Locks. 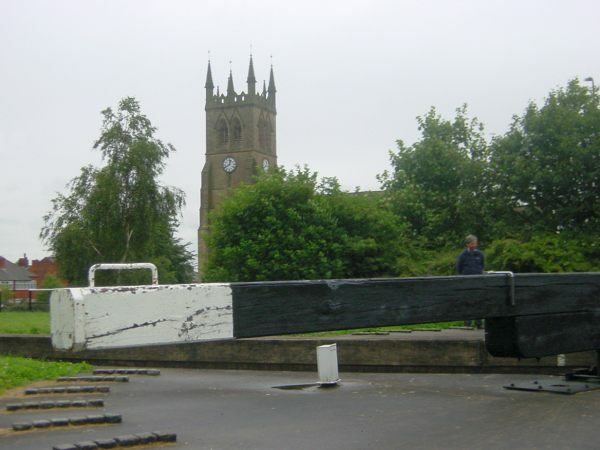 Poolstock Church stands close to the upper lock at Poolstock. 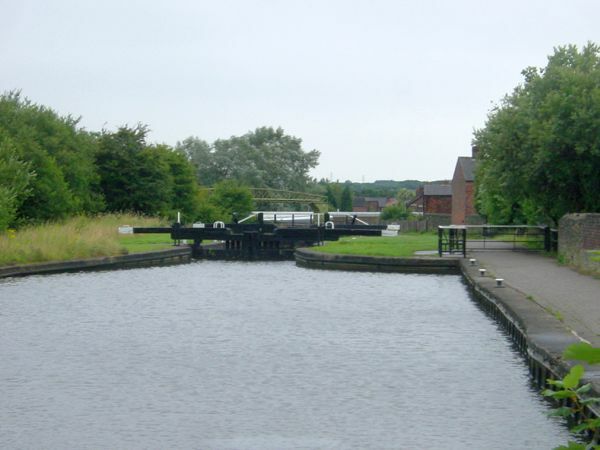 Poolstock upper lock. 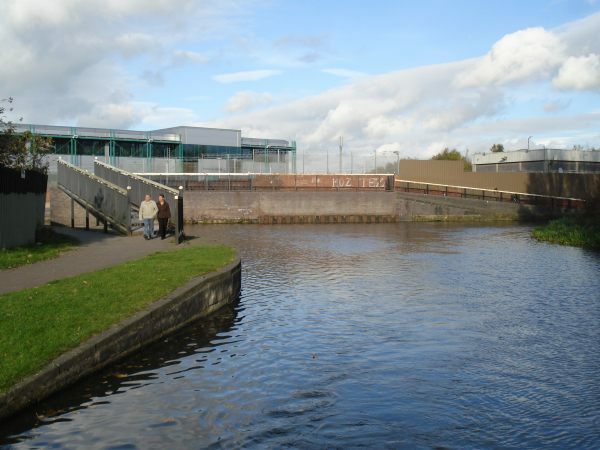 The two Poolstock locks are the only locks on the the Leigh Branch. 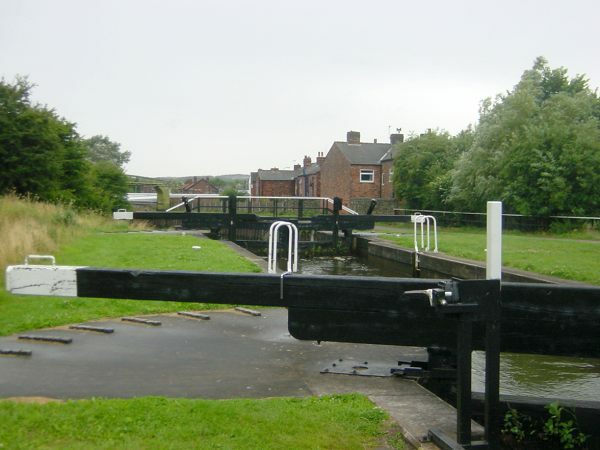 They were built to replace two locks at Dover and a further lock at Plank Lane after the area suffered a huge amound of subsidence due to mining. 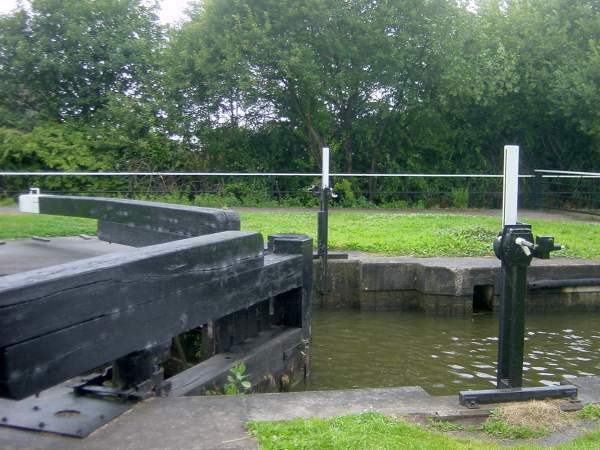 Paddle gear at Poolstock upper lock. 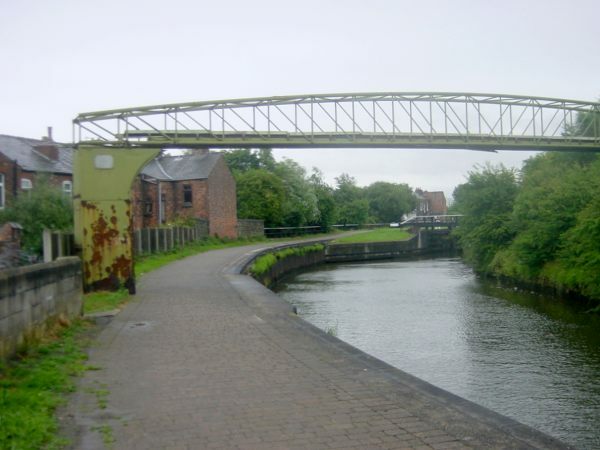 A pipe bridge crossing the canal between the two Poolstock Locks.